Save time and make a stunning first impression for your little one with these exclusive birth announcement tips that you can start today! I've got #2 due in a few weeks here, and am starting to prep for baby's impending arrival. One thing on my (looong) to-do list? Prepping birth announcements ahead of time. While I'm working on this for myself, I'm sharing some tips that could help any overwhelmed expecting mamas out there, too! If you still have a few months or weeks before baby comes, I’m guessing you’re not thinking about your birth announcements yet (I know I wasn’t with #1). But - NOW is really the perfect time to get everything started. Before you know it, your little one will be crawling and babbling before you have a chance to send them out. And you will not need one more thing to be worrying about when you are spending your precious time learning how to be a new parent. Instead of being caught exhausted and without time later, prep what site you’ll use, the general design, and your mailing list now. This way once baby comes you can enjoy every second with their little fingers and toes & will barely have to lift a finger of your own in order to share the good news with your friends and family. First things first. Who do you include? Obviously grandparents, new aunts and uncles...but who else? People from the office? Your boss? Your college roommate? Who makes the cut? Answer: Anyone! Anyone you want to share this good news with is fair game. Who wouldn’t want to celebrate this amazing time with you? If you have no clue or need to narrow it down, try sending announcements to anyone you invited to your wedding or most recent big party. For everyone else… that’s what social media is for. Right after baby is born you’ll be so busy, but you’ll also want to send out your announcements as soon as you can. A great way to make this as easy as possible for yourself later is to prepare beforehand. Choose your design, theme, and text on whatever site you’re working with (my favorites are Minted, TinyPrints, and Paper Culture). If you’re not sure, save a few options you like. Then once you meet your baby you can pick the design that best represents their little personality. Buy stamps and print mailing labels now. Every small item and errand you can take off your to-do list later will be a big relief! Not a planner? Looking for cost savings? Maybe you’re an environmentalist and don’t want to mail cards? 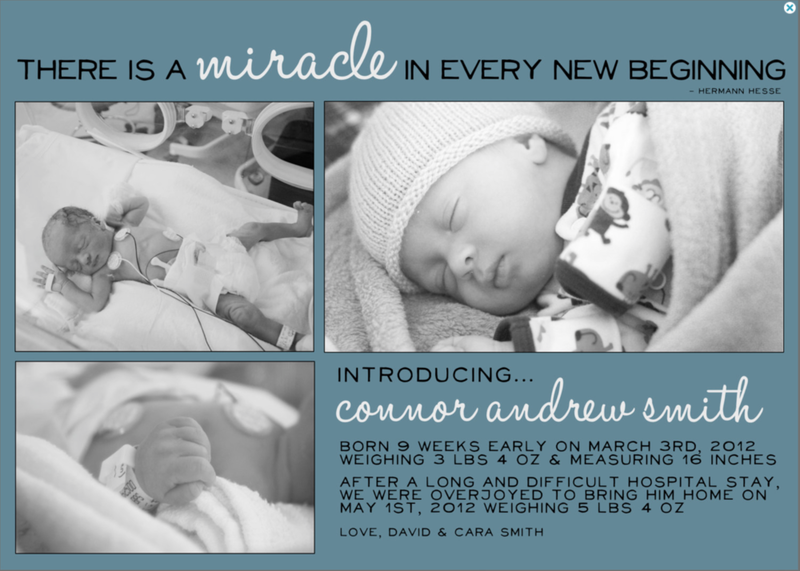 Try an electronic birth announcement via email. 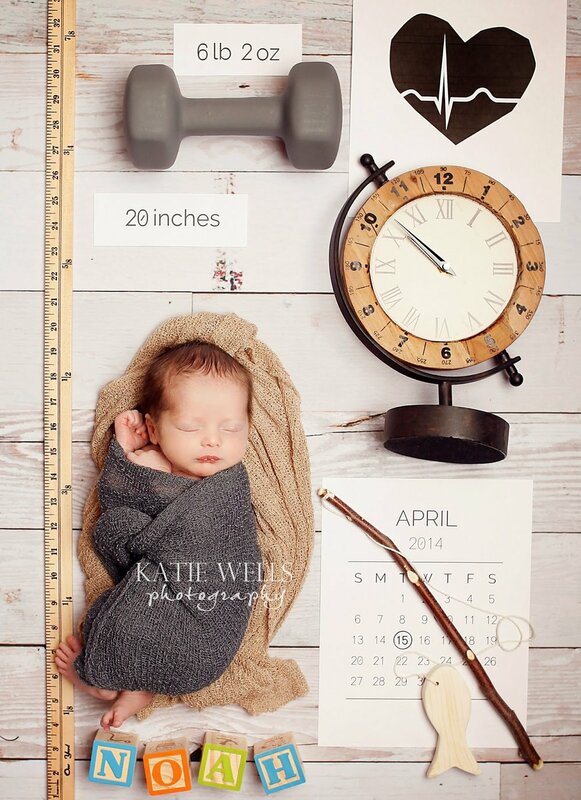 There are services and apps like Little Nugget to help you create adorable images (including birth stats and sweet text overlays) that you can send via email or post to social media. This is entirely up to you. To start, there are the basics such as baby’s name, birth stats (date, weight, length, time), and even the place of birth. Feel free to omit any details you don’t feel comfortable sharing. Simply announcing that your baby is born is wonderful enough. If there are any details you’d rather not share, don’t feel like you have to. Most likely, the people close enough to you (that you would want to share that information with) already know. This also goes for new parents who have adopted. Share the magical news that there’s a new member of your family to celebrate. Send adoption announcements! Include your child's birth date and as much detail as you’d like. If the adoption was international, maybe add your child's native country. Adoption announcements are an important way for your family and friends to know and cherish the day you welcomed your new child into your life. Want the perfect design for your birth announcement, but maybe you’re not creatively inclined or don’t have the time to create it yourself? If that’s the case, don’t sweat it. 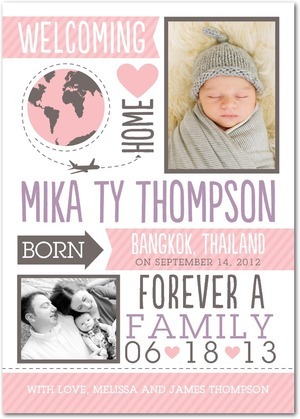 You can outsource the design of your birth announcement and still have the perfect result. Shortcake just launched a custom card design service in addition to our albums, but your photographer might provide this too, and there’s always online freelancers you can find via sites like UpWork, Fiverr, and FancyHands.